Get ready to drool, look what I stumbled across on the net the other day -how gorgeous is this!! Found it – check here for many a droolworthy item!! They are all handmade and are Ellies own designs – check out her blog here too for lots of recipes. 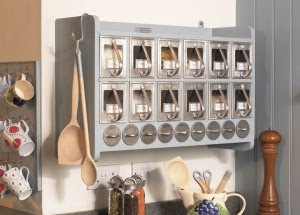 How do you store your herbs and spices – I have millions of little jars i have to check every time im looking for a particular one – surely theres got to be an easier way?? Planning on Selling Your Home? Use These Ideas To Get It Snatched Up Right Away!